The events of the past year or more have been cataclysmic for environmental protection of our country, our health, and our planet. The Clean Water Act, the Clean Air Act, and many other basic environmental protections are under attack by the current administration. It is easy to despair and fall silent, particularly when we know that even before this current wave of anti-science sentiment and heedless deregulation, our future was chancy. But we cannot give up. This Monday in Madison, I gained solace and inspiration from meeting Sandra Steingraber, who has been one of my environmental heroes for many years. I began reading her not long after Katherine died, as I was deciding what to do with the shattered remnants of my life. Steingraber was every bit as brilliant and warm as I expected from her books and her 2010 movie, Living Downstream. 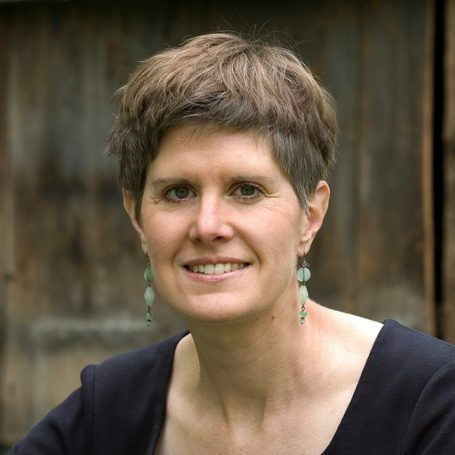 Steingraber spoke about how environmentalists struggle with the issue of whether or not to scare people with the truth. What environmentalists usually do, she said, is to understate the crisis we face and present overly optimistic projections, along with tips about recycling. Then when people learn how dire the threat is, they realize that changing their lightbulbs is not going to preserve the ice sheets, and they get cynical; they fall into well-informed futility syndrome. She said this approach is backwards. I believe she is precisely right, that we need instead to match our efforts to the level of the problems, to commit 100% to saving life as we know it for our children. With Steingraber, I believe we should be living heroic lives. She has spent many days in jail in civil disobedience, trying to stop fracking and pipelines in New York, and I hope to follow her example. As she says, during Hitler’s reign, you wouldn’t want to be a good German. I have been thinking that almost constantly this past year: would I have chosen convenient silence and enjoyed my dinner if I had lived then and there? I hope not. What does that mean now? I was equally pleased two years ago at Benedictine to have dinner with another environmental hero: Jim Hansen. Just today, as we discussed his most recent article, I told my students a secret that he shared with us, that he hates having to communicate. It’s not his strength. He’s a super nerdy physics guy who prefers to work with numbers. But he speaks out heroically – writing books, giving speeches, and getting arrested – because he knows the terrible truth about climate change and cannot remain silent. To sin by silence when we should protest makes cowards of us all. Never give up.